What boosters describe as the nation's last tackle powder-puff football game is no more, at least for now. 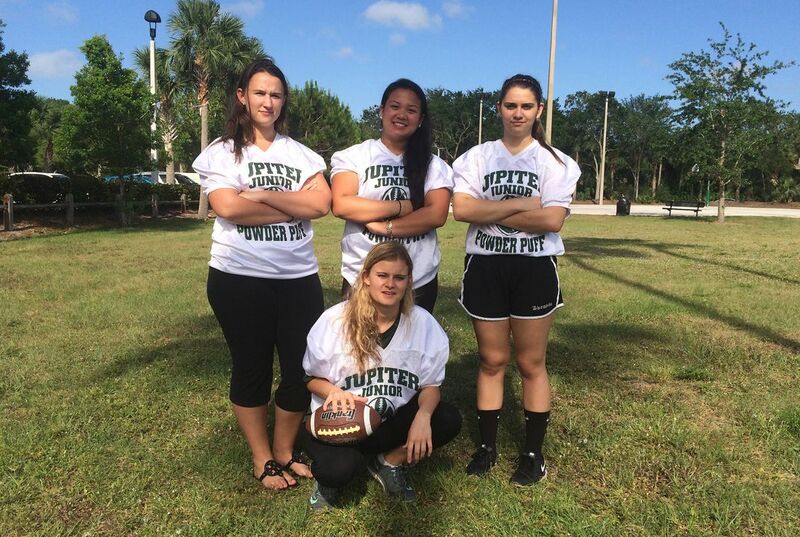 After 50 years of spirited competition between seniors and juniors, Jupiter High's principal has canceled the annual event, saying he doesn't believe helmets and shoulder pads borrowed from boys' teams adequately protect the girls who get crunched in the game. The cancellation blindsided Jupiter, a middle-class suburb on Florida's Palm Beach coast. The game packs the stands, something the Jupiter boys' team rarely does, and raised $7,000 last year, parents say. While boys dress like female cheerleaders in tight shorts, crop tops and wigs, the girls get to experience the thrill of competing before a crowd instead of playing softball or soccer in front of a few dozen parents and friends. "The game makes our town special. It is a once in a lifetime or maybe twice in a lifetime opportunity. You can't come back when you are 30 and play," said Haley Osborne, a 17-year-old senior who is disappointed that she's missing her final chance. "It is almost like a Friday night in Texas. Everyone comes out to watch the game. That is why you see the uproar. That's what this game means to this town," said Marcy Murphy, a special needs job coach. Her son, Brandon, plays running back on the boys' team and helped coach the girls last year. But Principal Dan Frank, who has led the 2,800-student school for three years, is firm: This month's game is off. A girl broke her leg a few years ago, each year players get bruises and sprains, and there is always a chance of more serious injuries. "Student safety is my first priority," Frank said in a statement. "The narrow window of time for student preparation and practice, and the limited availability of properly fitting safety equipment would put our students at risk." An attempt to enlist Jupiter as the game's sponsor failed when Town Manager Andrew Lukasik rejected the idea, also citing safety concerns. Some girls and their parents said Frank told them tackle powder-puff might be brought back under certain conditions. Instead of two weeks practice, there could be two months so the girls are better trained. Instead of using pads and helmets from the boys' team and a local youth league, football uniforms designed for girls could be purchased, along with specific insurance for the game. Frank would only confirm that he has asked the district to help determine whether the game could be resumed at some point. As for this year, Frank suggested the girls adopt flag football, but the girls wouldn't consider it. Many American high schools host flag powder-puff, a no-contact version in which girls stop their opponents by pulling flags off their belts, rather than wrestling them to the ground. But Florida schools already offer girls' flag football as an interscholastic sport, and they said the equivalent of a class vs. class scrimmage would feel boring after 50 years of tackle. Osborne and her friends, Caitlin Walsh, Megan Mendoza and Sophie Garcia, said their principal also made another suggestion that they found demeaning: That they play a modified kickball game, and have the runner bob for apples at second base, or spin around at third. "We are not in elementary school," Mendoza said. Frank acknowledges suggesting several alternative events, but would not be specific. The members of the Class of 2016 were filled with glee recalling last year's 50th anniversary game, which they lost 17-12 to the Class of 2015. Donning pads. Strapping on helmets. Hearing the roar as they sprinted into the stadium. The hits. The fumbles and bumbles. "Remember there were three of us saying 'Let's all just get on Amanda,' but no one could take her down," one girl says. Another chimes in, "One girl got hit so hard her helmet flew off." A third adds, "It is sooo fun." For these young women and their moms, the risk of injury is overblown. "The car ride to the game is more dangerous," said Lori Walsh, Caitlin's mother. Girls get hurt cheerleading and playing soccer and basketball, they say, so why not ban those sports, too? 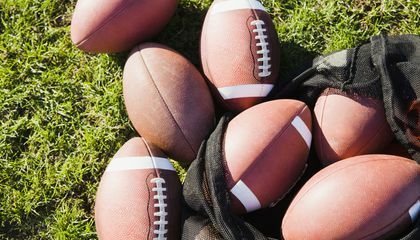 They also note that Florida allows girls to play on boys' high school football teams, including several female kickers and a girl who substituted at quarterback in the neighboring county. "That's much riskier," Marcy Murphy said. For now, at least, the game is over. Why does the powder-puff game attract more people than the boy’s team? The female equivalent to football attracts more spectators than the regular boy's games because they are rare. These games happen only once a year, and, therefore, are more sacred. If you miss one game, you miss everything. this talks about football in high school why people hit so hard in football because they like to play really ruf. I think its ridiculous that girls cant play football. Girls should be able to do anything boys do. Theres no reason wny not. This principal probably thinks that girls should stay in the kitchen amd take acre of the kids. If anything they should have more preperation times, simce it happens every hear, they should start planning. But i think his desicion is idiotic. Here we are again dealing with sexism. If males can play tackle football than females can too. Its not fair treatment. I don't think that is right for the principal to be taking away a tradition that they have had for so long.If everyone who is going to play is okay with all of the possible injuries I think that they should get to keep the event.The principal has been okay with it all of the other years it isn't fair to just end it now. I think, instead of cancelling the game, they should fund raise for the uniforms and equipment and what not, because he is literally not letting a tradition go on and that's kinda messed knowing that other sports also cause injuries(and it's funny that I'm sure he hasn't said anything about those. )and well if he is so oh worried that they'll get hurt why not go worry about other sports and ban them as they also cause injuries. It is not fair to take away this tradition from the girl's and everyone else who enjoys watching. It gives them many opportunities as well as raising money. Well it would be quite funny to see very masculine men dancing around in tights but its soul lies within the girls. this is a chance for gender equality and destruction against sexism. Telling them they cant try a sport is like saying a college student cant go for their ideal major, its unreasonable and is easily argued. these girls are fighting for equality in more ways in one; choice, spirit, fun, Freedom.